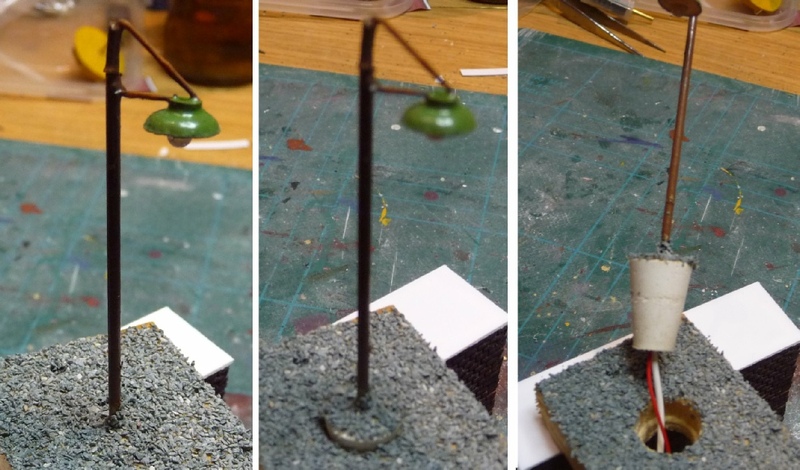 A guide to make a spring loaded, easy maintenance base for your lamps! This then jumped to a fixing system that is tapered, so fits snuggly, can rotate when required to set correct attitude and is readily removable. 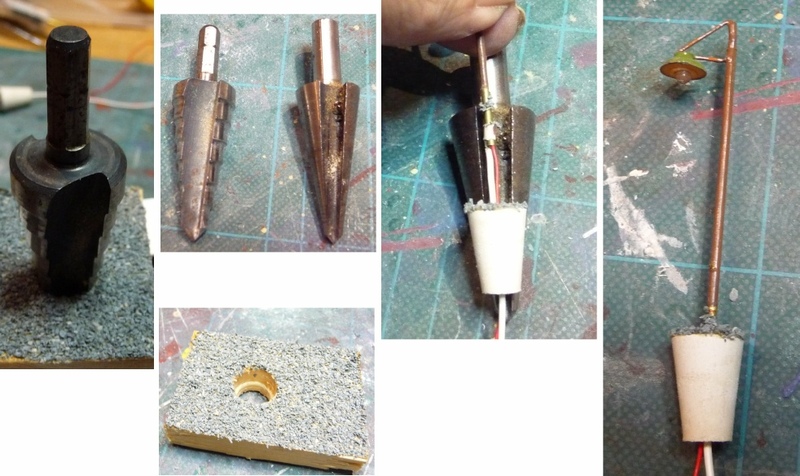 I will solder a connector to each lamp so that once pulled up, I can detach without going under the board, this is possible, because the hole for the bung is around >6mm in diameter!